Many fac­tors play a part in the pro­cess of achie­ving healt­hy and long-las­ting plants in both home and gar­den. High-qua­li­ty plants sim­ply give hob­by gar­de­ners enjoy­ment for lon­ger. And each plant depends on the right care. They requi­re a sui­ta­ble envi­ron­ment, the right light con­di­ti­ons, appro­pria­te addi­ti­ons of fer­ti­li­ser and water in the right quan­ti­ties. 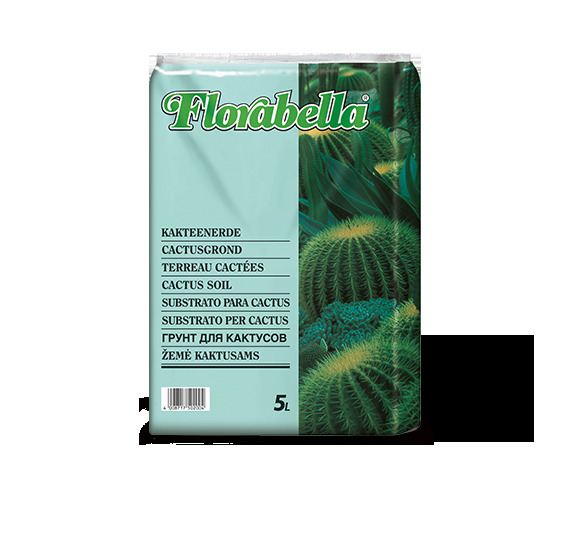 Florabella helps ama­teur gar­de­ners look after their plants – from folia­ge plants to flowers, from vege­ta­bles or herbs to fruit plants. Our qua­li­ty pot­ting soils ensu­re all plants grow well in homes and gar­dens. Florabella is avail­ab­le only from well-sto­cked retailers. Florabella gro­wing media and soil addi­ti­ves are made to balan­ced reci­pes and pro­du­ced from the best raw mate­ri­als, selec­ted addi­ti­ves and high-qua­li­ty fer­ti­li­sers. This enab­les hob­by gar­de­ners to bene­fit from our unpar­al­leled exper­ti­se gai­ned in the com­mer­ci­al-hor­ti­cul­tu­re sec­tor. 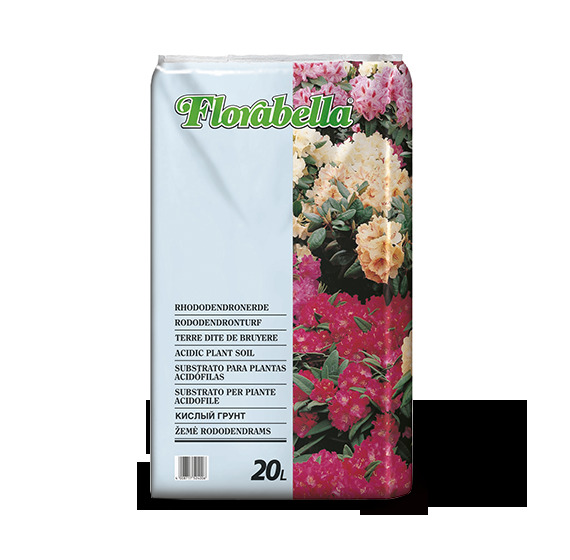 Spe­ci­al­ly for­mu­la­ted gro­wing medi­um for soil impro­ve­ment and mul­ching rose beds or plan­ting in tubs. Con­tains valu­able humus and all requi­red nut­ri­ents. Spe­cial gro­wing medi­um for plan­ting aza­leas, rho­do­den­drons and other eri­cace­ous plants that pre­fer acid soils. Rich, spe­ci­al­ly for­mu­la­ted gro­wing medi­um with the full ran­ge of requi­red nut­ri­ents for all plan­ting work in the gar­den or for out­door use in tubs and flower­pots. Spe­cial pot­ting soil for gro­wing-on of orchids and other epi­phy­tes. 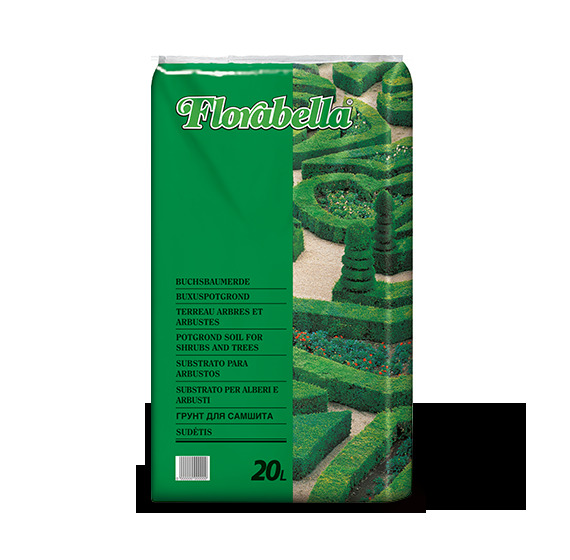 With high-qua­li­ty pine bark for a loo­se, airy struc­tu­re and for pre­ven­ti­on of water­log­ging and root rot. Fine-tex­tu­red spe­cial gro­wing medi­um with a nut­ri­ent for­mu­la spe­ci­al­ly desi­gned for sowing herbs, vege­ta­bles and orna­men­tal plants. 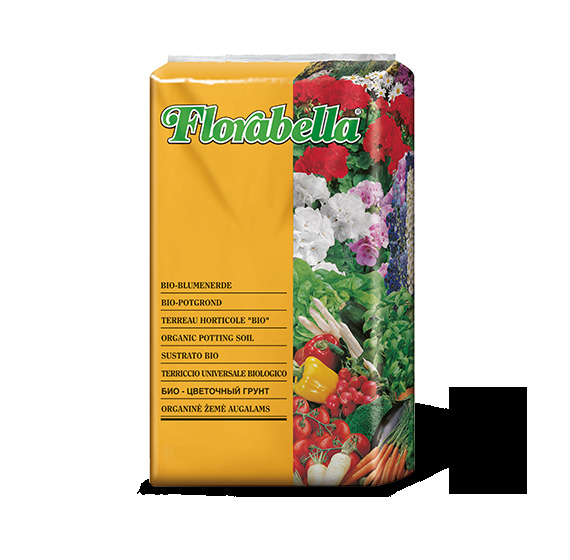 Also sui­ta­ble for pri­cking out seed­lings. With a high pro­por­ti­on of mine­rals and vol­ca­nic stones for rapid water drai­na­ge; spe­ci­al­ly desi­gned for cac­ti and suc­cu­lents. For pot­ting folia­ge plants, palms and ferns. Valu­able clay mine­rals and good drai­na­ge pro­per­ties ensu­re con­ti­nuous healt­hy plant deve­lop­ment. Spe­cial gro­wing medi­um with high clay con­tent and maxi­mum water sto­rage capa­ci­ty for pelar­go­ni­ums, fuch­si­as and other flowe­ring plants in tubs, as well as out­door flowers. 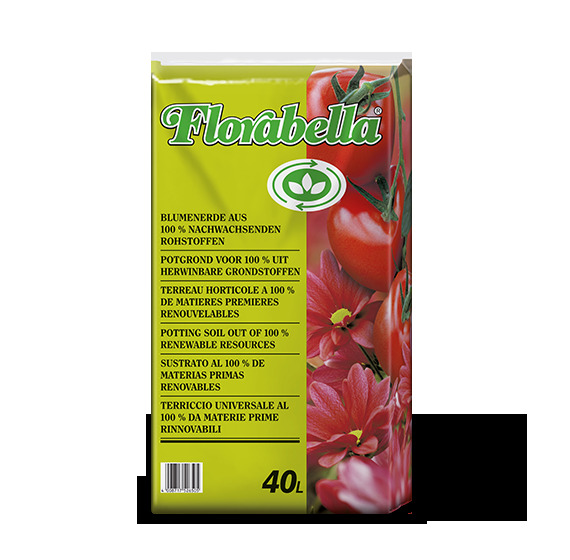 Spe­cial gro­wing medi­um for gro­wing tomatoes, pep­pers or cucum­bers in pots and con­tai­ners, as well as for soil impro­ve­ment in vege­ta­ble beds. Con­tains all requi­red nut­ri­ents for opti­mum growth. Ide­al for gro­wing hedging plants (such as box trees, pri­vet and yew) in con­tai­ners. Con­tains valu­able clay mine­rals and a balan­ced sup­ply of nut­ri­ents for a rich green leaf colour. Spe­ci­al­ly for­mu­la­ted pot­ting soil with a high-qua­li­ty slow-release fer­ti­li­ser to pro­vi­de nut­ri­ents during the first six mon­ths. 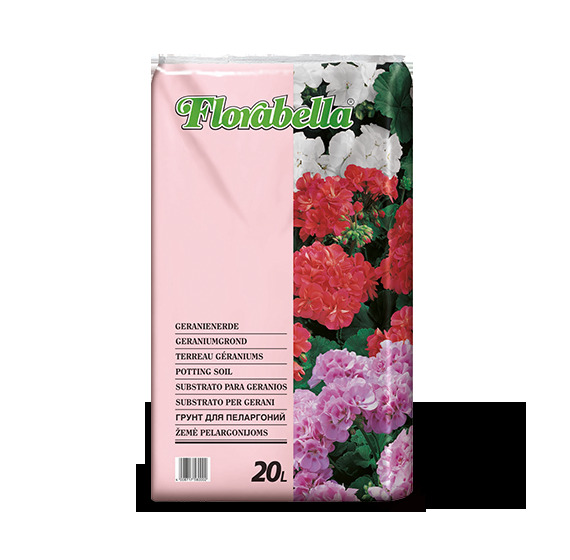 Ide­al for all flowe­ring and folia­ge plants, bed­ding and bal­co­ny plants. All-pur­po­se pot­ting soil with high-absorp­ti­on clay gra­nu­les and high water-sto­rage capa­ci­ty. Good drai­na­ge gua­ran­te­ed, easi­ly wett­able. Orga­ni­cal­ly fer­ti­li­sed pot­ting soil with a high per­cen­ta­ge of green com­post and wood fibres made from rene­wa­ble resour­ces. 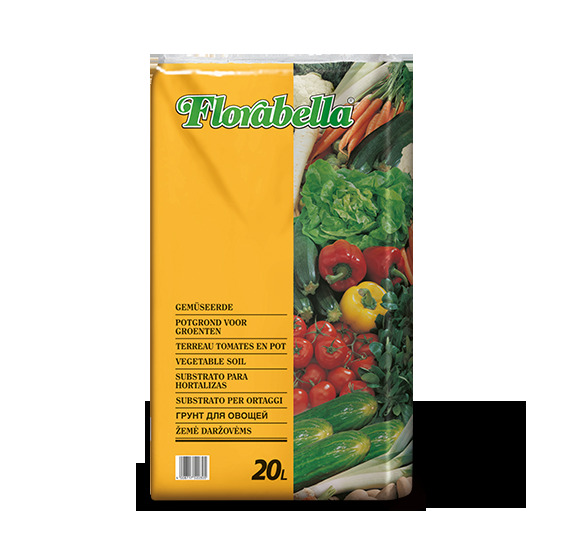 Ide­al­ly sui­ted for house and bal­co­ny plants and for vege­ta­bles in pots. Orga­ni­cal­ly fer­ti­li­sed pot­ting soil made ent­i­re­ly from rene­wa­ble resour­ces, con­tai­ning all requi­red nut­ri­ents. 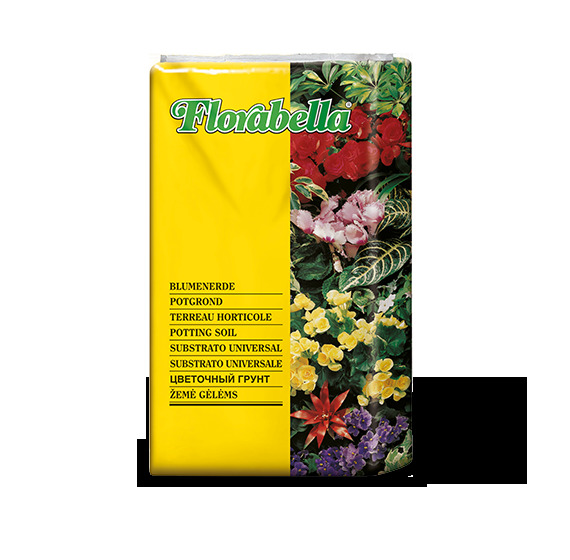 Ide­al for pot­ting indoor and bal­co­ny plants and for pro­pa­ga­ting vege­ta­bles in pots. Fine, rea­dy-to-spread, deep-black covering soil for gra­ves. Ide­al for impro­ving the soil for eri­cace­ous plants such as rho­do­den­drons, aza­leas, hea­thers and coni­fers. With a high pro­por­ti­on of humus for healt­hy root for­ma­ti­on and fast root deve­lop­ment. High-qua­li­ty deco­ra­ti­ve pine bark. Ver­sa­ti­le for a wide ran­ge of gar­den uses such as mul­ching for beds and plant tubs and crea­ting ele­gant gar­den paths.